Packing and Unpacking Services - Relax and get the best professional packing and unpacking services available in the USA from Trans Vans Lines. Relax and get the best professional packing and unpacking services available in the USA from Trans Vans Lines. Our professional movers possess the skills and techniques required to ensure that your belongings and furniture are transported to your new location in a safe and economically efficient way. Trans Van Lines uses high-grade industrial strength packing materials, which is not available to the public. 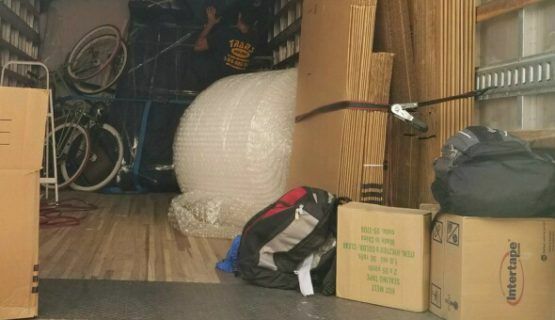 If you decide to purchase your own packing materials, we highly recommend that you confirm the quality of our moving specialist, so we can provide you with our honest opinion of the product. Moving is a big project, whether you are planning a local or long distance move. The various activities involved in the relocation and packing process of your home or office can be pretty time-consuming. In the process, you would certainly want all your loved items and possessions to be perfect as they are when they reach the destination. Breakage or spoilage is something which no one looks forward too and can end up spoiling the entire experience of the move. Relax and get the best professional packing and unpacking services available in the USA from Trans Vans Lines. They have the best full service packing solutions on offer which can be a perfect addition to the basic local or long distance move. It gets the load off your mind and you are assured of quality customer service and mint condition of all your possessions at the destination. Just what you wanted! Are you planning to do the packing and unpacking service on a do-it-yourself basis? In most local moves, it would be suitable if the number of items to be moved are pretty less and are unbreakable. In a majority of the cases in local moves and long distance moves, it is advisable to hire a professional moving company to ensure that all possessions are taken care of and no breakage occurs. The packing services on offer include loading and unloading services, delivery, packing boxes, wrapping furniture and glassware, partial packing, single items can be availed off. The moving specialist of Trans Vans Lines creates a customized packing and unpacking plan for each customer after a detailed discussion. This ensures that all areas are addressed at length and a proper plan of action is made and then implemented to ensure a timely and secure moving experience. Our Company offers a variety of moving services including packing, disassembly, loading, transporting, unpacking, assembling, placement etc.